It works in the first process of gauze compress manufacturing. 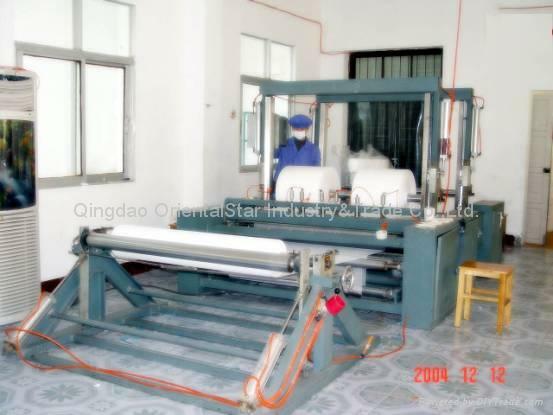 It cut the large width ) of ready-made absorbent gauze into required width and rewinds them into required legth for loading on the following Gauze Compress Folding Machines, Gauze roll making machines and Guaze krinkling line. Pneumatic Air Shaft with Measuring Ruler for Winding.